Want to get my 11 year old son some flat pedal MTB shoes but they cost a fortune (he wears adult size 9). I was thinking about just getting some standard vans so at least his feet wouldn't slip off the pedals as much as they currently are. I know the reason vans are not ideal as the sole is flexy, but it's gotta be better than running shoes? Would love to hear any suggestions or feedback on riding vans or similar. Five.Ten is hands down the best flat pedal shoe out there. The sticky rubber, the stiff pedaling platform, the durability. 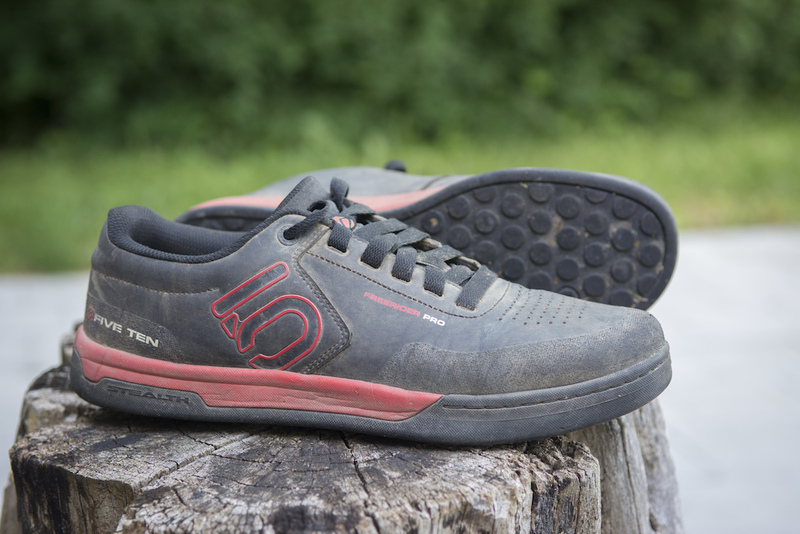 I highly recommend the FiveTen Freerider, or Freerider Pro , should be able to catch a closeout deal on them. Otherwise most of your local shops can order them through a distributor. I have three pair and I'm really old! Addidas makes some shoes that are fairly simalar to vans or 510's. My son rides with them sometimes. I have the same style as ZenskiS14 in the women's version and love them. Super sticky on the pedals. I also have the Vans in a high top version as I like the ankle support. They are super sticky on the pedals, as well. The 510's have a stiffer sole but the only time I notice the difference between the soles is if I need to walk through a rocky section I don't feel comfortable riding. Since finding the Vans, I ride those exclusively now. I bought a cheap pair of Vans to try out flats. They worked perfectly fine. The only thing I didn't like was the minimal toe protection, but your son is probably more coordinated than me and less likely to hit a rock with his toes. Five Ten - the best of the best! I'm a little late on this post, but I know a guy who wears soccer cleats with his flats. says their solid with great grip.